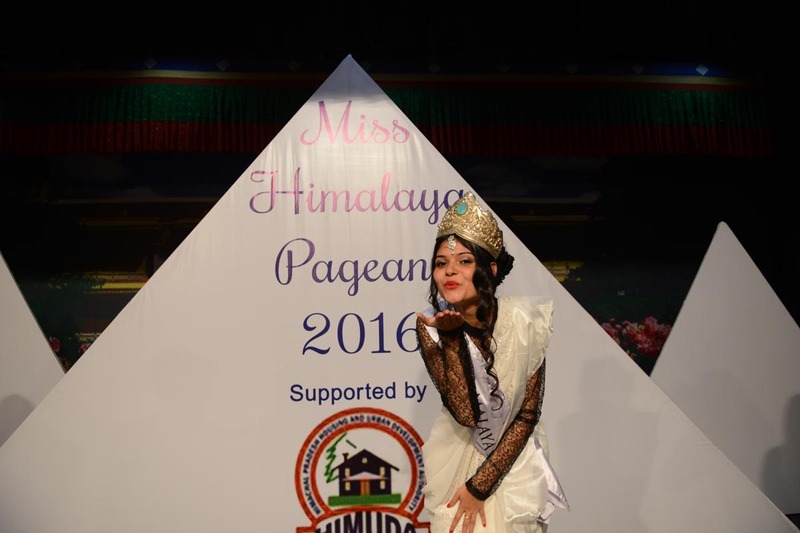 Ayushi Sethi from Dharamshala won the crown of the Miss Himalaya Pageant 2016 in a modest show in McLeod Ganj late on Sunday night. Ayushi won the crown after going through four competition rounds against the only other contender Parul Patel. Tanshuman Gurung, the outgoing Miss Himalaya, passed the prestigious crown to her successor. Holding her crown in tears, Ayushi went to her parents for their blessings. The parents and other relatives later joined on stage for photos, and then celebration with dancing and singing. Director Lobsang Wangyal sashed Ayushi and presented her with a cheque of one lakh rupees (100,000), while Parul was presented a cheque of 50,000 rupees. Monika Nataraj, a world-renowned women’s empowerment teacher from New York, and Oodhaye (Honey) Ramdhary, a barrister and a teacher of Kundalini Yoga from Mauritius, judged the four rounds. Local artistes, including the Himalayan Band and the famous Lion Man, performed to the delight of the audience. Lion Man Tsering Dorje’s fire performance left the audience stunned. Wangyal urged young Himalayan women to come forward and take part in next year’s pageant, saying this helps empower them, brings Himalayan people together, and addresses issues surrounding the Himalayas. provide assistance to initiatives that benefit the Himalayan people.